When I was growing up, I devoured Japanese role playing games. Games like Final Fantasy, Chrono Trigger, Breath of Fire and the terribly underrated Secret of Evermore sucked up whatever free time I had that wasn’t spent playing Street Fighter II. At some point though, the gloss was gone. JRPGs, I thought, had stagnated. Inevitably, they’d focus on some barely teenage, androgynous male protagonist who, having overslept is woken by his single parent mum to remind him he’s missed a meeting with his one true love, before some tragedy befalls his simple village, and sets him off on a quest of vengeance. It seemed that nearly every game in the genre fit this unending repetition of the same worn and tired storyline. 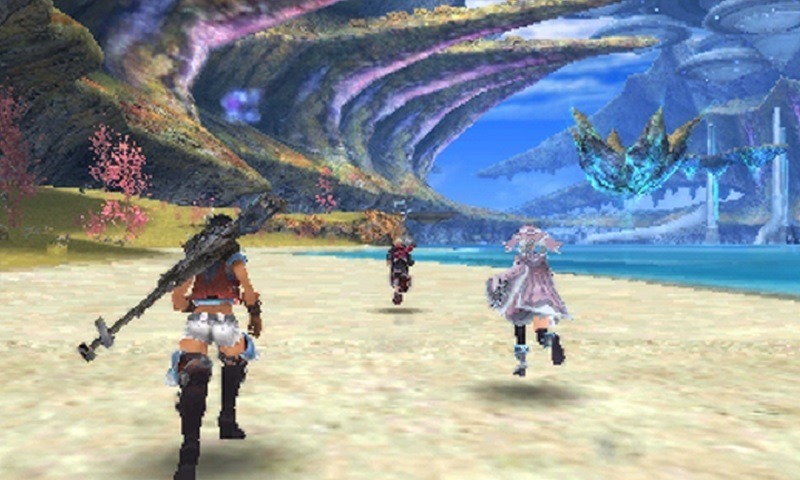 And for a while, Xenoblade Chronicles, now on its new home on Nintendo’s beefed up New 3DS, seemed like it might follow the same overwrought, under-cooked formula. Thankfully, it doesn’t – and it’s gone a long way in helping me rekindle my love for the Japanese RPG. Presented as a creation myth, two great big colossi – The Bionis and Mechonis – are locked in an eternal battle in a world of endless ocean and boundless sky. They manage to deliver death blows unto each other, and aeons later, dormant, become teeming with life. Each of them has become a world, each spawning its own forms of life – one mechanical and the other organic – with their respective progeny, the fleshy, humanoid Homs of Bionis and the metallic, robotic Mechons of Mechonis continuing the battle. The story starts out interestingly enough; a year after the last great big battle in which the Homs repelled a Mechon attack, a young teenage boy from Colony 9, Shulk, becomes heir to the mystical Monado; the only sword capable of damaging the technologically advanced race of mechanical monstrosities that have resumed their attacks. Driven, initially, by a quest for vengeance, it sees Shulk and an increasing band of characters set out to rebuild the colonies and bring an end to the motorised menace. It seems, for the first few hours, that it is, indeed, just another game about a young hero, his giant magical sword and his crusade for justice and retribution – but it gets injected with much more than that: war, mortality, the pitfalls of technology, mortality, religion and even a dash or two of political intrigue. It’s more than you’d expect, transcending and subverting many of the usual JRPG tropes just as much as it clings to others. Thankfully, Shulk and his friends are a little more upbeat than the usual downtrodden, emo bunch that populate most games of this sort. If you’re not playing for the story, you’ll be playing for the combat; a streamlined, terribly addictive grind. The lifeblood of any RPG is in its combat, as that’s what you’ll be doing most. Thankfully, there are no random encounters (one of the things that turned me off of the genre in the first place), so fights are usually easy to avoid if you’re not in the mood for them. You likely will be though, because it’s an ultimately rewarding one. The battle system is slick, appropriated from MMOs and similar enough to the one you’ll find in Final Fantasy XII. Your character auto-attacks whichever meanie you’ve targeted. You can then trigger a series of upgradeable cooldown Ether Arts that function as special attacks. Some inflict a status called break, which followed up by other attacks might inflict another called Topple, which makes enemies more vulnerable. Toppled enemies are then susceptible to another status effect, a paralyzing Daze that opens them up to even more attacks. Chaining your attacks within your three-character party configuration can keep your enemies very nearly in a perpetual cycle of this – always rewarding when you can successfully pull it off. It encourages players to play around with different sorts of tactics and strategies, using the right Ether Arts in conjunction. Each of your companions fill the sort of roles that MMO players would easily recognize; tanks, healers, DPS specialists and the like. You can choose which member of your party you directly control, while the others perform the tasks you’d expect of them independently. 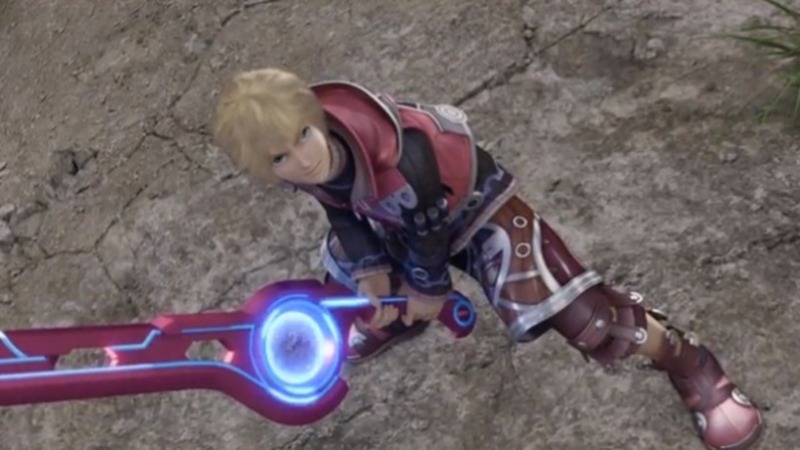 In addition to giving the team the ability to damage Mechon, the Monado affords Shulk the powers of prognostication. When an enemy is about to launch a particularly devastating attack. Shulk will be forewarned, allowing players to see who’ll take the blow and how much damage they’d receive. 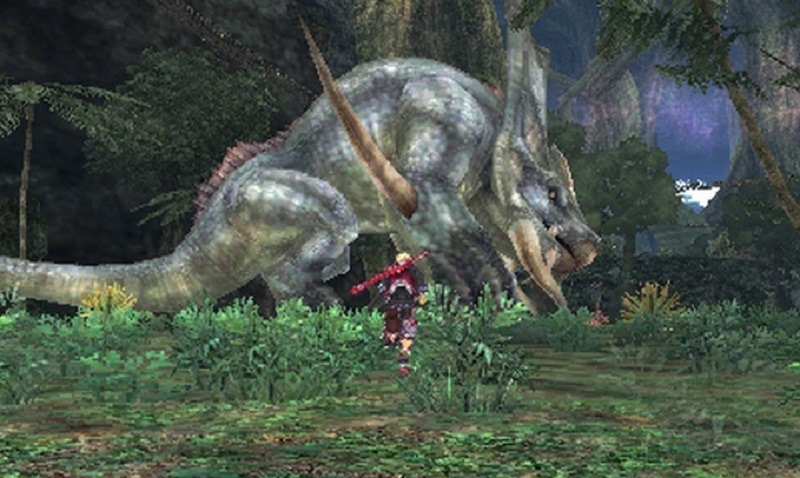 It allows him to warn other characters, and use the appropriate abilities that could counteract or mitigate the attack. There are numerous ways of altering the future, and it’s fun to dabble with different ways of dealing with attacks. Do you make your tank draw the enemy’s fire, topple the beast or envelope the target in an absorptive shield? This sort of tactical co-operation is given a further edge through how the game handles in-game relationships; the more your heroes like each other the better they’ll perform together in battle, leading to more frequent, and more powerful chained attacks. You can improve player relations purely by fighting together, or speed things along by trading gifts or engaging in the pre-set heart-to-heart conversations that litter the landscape. The strength of your relationships with your party members carries through to the game’s arcane crafting system, where better ties lead, ultimately, to better gems that buff your gear. Your party members aren’t the mute sort: they’ll interact all the time, complimenting each other on jobs well done, encouraging each other to fight better, and weigh in on quests, and you’ll actually feel the camaraderie develop. Your relationships also enable you to start sharing other characters’ passive skills, adding another layer of strategy. 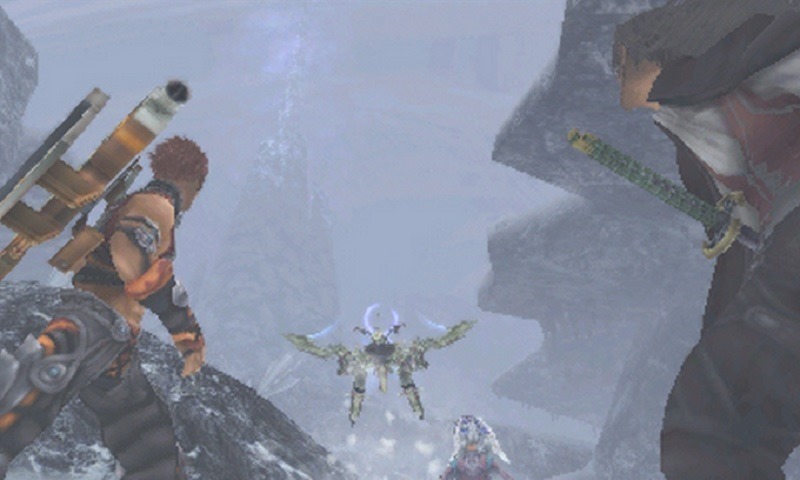 There’s an absolutely astounding wealth of content in Xenoblade Chronicles, thanks to its unbelievably massive world, filled as it is with hidden areas, secret quests and – because it wears its MMO influence on its sleeve – dozens and dozens of NPCs who want you to slay a set numbers of monster or pick up a number of arbitrary items. Assassinations and fetch quests galore, there’s a bit of welcome reprieve in that side quests close off after completion, without you having to return to the quest giver. Incredibly, for all its content and the hundred hours you’ll spend playing the game, it never really feels like a grind-ridden chore. Much of that’s due to the incredible scope of the game’s environments, which encourage exploration and discovery. It’s got all the open-world exploration and scope of something like Skyrim, coupled with all of the joys of discovering little hidden secrets like The Legend of Zelda. It’s a little more complex than either, with systems upon systems that are initially rather overwhelming, but that ease you in to them at a steady pace. There are, of course issues. The game’s flooded with good, particularly British voice acting, which makes a nice change from the typical Southern Californian “bro” voices you usually get in translated Japanese games. Particularly enthralling are the bad guys, who sound like old-timey London Gangsters. It’s the repeated stock phrases from the good guys that begins to grate; if I have to hear “Let’s not lose our ‘eads, though!” and “I’m really feeling it!” one more time I may just vomit. The AI is also not especially clever, rushing off to attack enemies that are far into the distance, which isn’t exactly appreciated when you’re level 15 and they’re trying to hack away at the legs of a level 70 behemoth. There are also a few niggles with the New 3DS port. It must be said that it’s frankly incredible that a game of this magnitude is on a handheld, the system’s low resolution makes the game a little muddier than it ought to be, and the 3D (while lovely) doesn’t really add very much to the experience. What it does add is completely superfluous; a couple of 3D models to gawk at, some tracks you can play through a Jukebox. There’s some very light Amiibo integration, where you can use the Smash Shulk Amiibo to earn the tokens you’ll use to buy more tracks and models. If you’ve played the game already, there’s really no need to pick it up again. 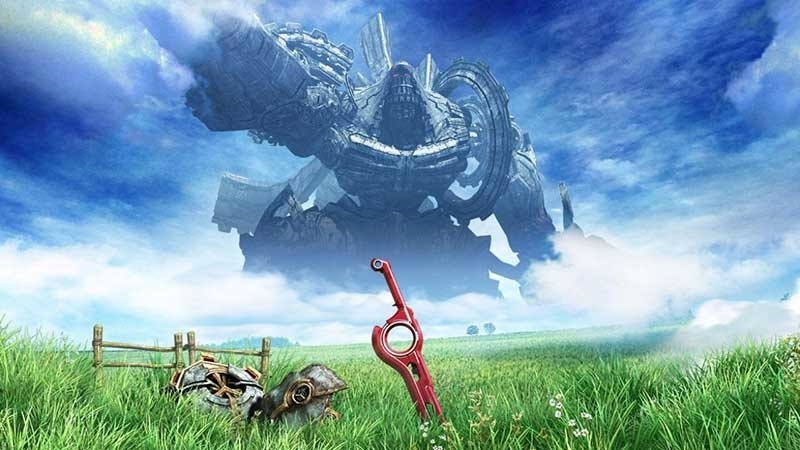 It’s hard not to be impressed by Xenoblade Chronicles, not least because it’s rekindled my long-dormant love for a genre of games I thought I’d never be interested in again. It’s one of the best JRPGs in a generation, capable of inspiring wonder - and it fits in your hand. It may have been one of the Wii’s swansongs but it’s a great start for the New 3DS.